Our goal is to connect people with the best local experts. 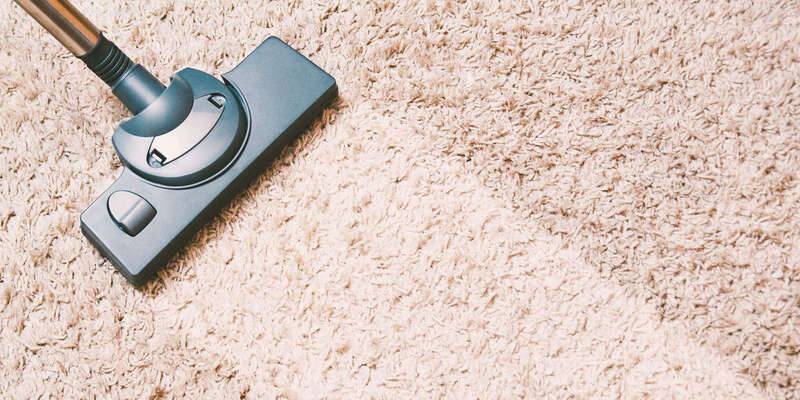 We scored carpet cleaners on more than 25 variables across five categories, and analysed the results to give you a hand-picked list of the best carpet cleaners in Honolulu, HI. The team at A to Z Clean & Dry has more than 25 years of experience in the carpet cleaning industry. Based in Kailua, the company cleans all types of carpets, area rugs, and upholstery, treats for pet odors, extracts water, removes stains and mildew, cleans tile and grout, seals tile and stone, and seals driveways and decks. A to Z Clean & Dry uses the hot water extraction method for thoroughly cleaned carpets. The business has two IICRC-trained master cleaners on staff. AAA Superior Carpet & Upholstery Cleaning serves residential and commercial customers in Oahu. Based in Hauula, the company cleans upholstery, carpet, leather, furniture, and area rugs, and performs quick carpet and upholstery cleaning for offices. Customers have praised the business for its on-time service, effective stain removal, reliable service, and affordable prices. Advantage Carpet Care has served Honolulu with carpet cleaning and emergency water extraction services since 1986. The locally-owned and operated company steam cleans carpets to remove dirt, stains, oil, and grit. Advantage Carpet Care specializes in furniture care. The business gives discounts to seniors and military members, and customers have praised the company for its superior customer service and attention to detail. Arise Carpet Cleaning provides 24-hour emergency flood water extraction to the island of Oahu. The certified and insured business, based in Kailua, serves residential and commercial customers with stripped and waxed ceramic tile, stone floors, vinyl tile, and hardwood floors. Arise Carpet Cleaning's certified flood extraction experts have more than 23 years of experience in the area. Customers attest to the company's reliable and efficient work. At Your Service Hawaii has served the Honolulu area since 2011. Based in Ewa Beach, the company cleans carpets and strips and waxes VCT Tile Floors. The company also provides general move-in and move-out cleaning and home and office cleaning services. Customers have praised the company for its ability to work on short notice and its friendly employees. Bear's Carpet Care, based in Pearl City, has served Oahu with carpet cleaning services for more than 15 years. The business serves homes and businesses with steam carpet cleaning, carpet repair, carpet installation, odor and stain removal, and upholstery cleaning. Black Diamond Cleaning is a family-owned and operated Honolulu carpet cleaning company. The business uses hot water extraction carpet cleaning, which dries faster than other methods. Black Diamond Cleaning also cleans tile, grout, windows, and dryer vents. The business is available 24 hours a day, seven days a week and screens its technicians in the hiring process. Customers have praised the employees' hard work, reasonable prices, and fast response times. The team at CM2 Carpet Care has more than 13 years of experience in the carpet cleaning industry. The business provides emergency same-day service for residential and commercial customers, and gives discounts to military members. CM2 Carpet Care cleans tile and grout and upholstery and applies Scotchguard protection against further damage. Custom Cleaners Hawaii specializes in carpet cleaning in Honolulu. The business serves residential and commercial customers on Oahu with eco-friendly carpet, area rug, and upholstery cleaning. The locally-owned and operated company uses hot water extractions and low moisture cleaning for its commercial customers, a non-toxic operation that is safe for kids and pets. Custom Cleaners Hawaii also provides move-in and move-out cleaning. Hawaii Home Cleaners is a commercial and residential cleaning company located in Honolulu, HI. They offer a comprehensive variety of home cleaning services, including carpet cleaning, window cleaning, and bathroom/bedroom maintenance. Also, they provide services for customers who are moving into a new home or out of an old home. Their commercial services include cleaning apartment complexes, offices, and properties that have just finished construction. Hawaii Home Cleaners has been providing excellent services in Honolulu for multiple decades, and they aim to be professional, knowledgeable, and polite. Their customers speak highly of their services, and they have been nominated for Fan’s Choice Awards as a top business in Hawaii. Keep'n It Kleen is a carpet cleaning company based in Waialua that serves residential and commercial customers. The business serves all of Oahu with carpet cleaning, house cleaning, upholstery cleaning, car interior cleaning, odor control, carpet protection, and carpet repair. The insured company is certified by the Institute of Inspection, Cleaning and Restoration and has an A+ rating from the Better Business Bureau. Customers have praised the business for its effective work and friendly, reliable employees. Kiwi Carpet Cleaning has served the Honolulu area since 1993. The business serves property managers, homes, and businesses with carpet cleaning, oriental rug restoration, area rug cleaning, upholstery cleaning, pet stain and odor removal, and water damage repair. Kiwi Carpet Cleaning uses organic cleaning methods by using eco-friendly products. Customers have praised the business for its flexible scheduling, effective work, and professional customer service. Kleenpro Hawaii is a Honolulu carpet cleaning company that serves residential, commercial, and industrial customers. The company uses steam cleaning and low moisture cleaning to clean carpets, and also cleans upholstery, treats for ticks and fleas, removes stains and odors, cleans rugs, and strips and waxes tile floors. The licensed and insured company also provides fabric protection with Scotchguard and move-out cleaning services.Customers attest to the business' reasonable prices and reliable service. Magic Carpet Steam Cleaning is a Honolulu carpet cleaning company that uses traditional and eco-friendly cleaning practices. The business serves homes and businesses with fast-drying cleaning methods and biodegradable, non-toxic cleaning products for safer environments. Magic Carpet Steam Cleaning also cleans upholstery, tile, furniture, and area rugs, and deodorizes surfaces, removes pet odors, and removes stains. Customers have praised the business for its flexible schedule, fast and effective service, and friendly employees. MD Restoration specializes in emergency 24-hour water extraction in the Honolulu area. The business also provides emergency water damage restoration, mold removal remediation, carpet cleaning, and general repairs for homeowners, realtors, and property managers. MD Restoration has served Oahu since 2002 and is certified as a lead-safe firm by the EPA. The company has received positive feedback for its efficiency, punctuality, professionalism, and reliable work. Ohana Extraction is a Honolulu carpet cleaning company that has served the area since 2014. The family-owned and operated company cleans and restores residential and commercial carpets, cleans area rugs and oriental rugs, removes mold, extracts flood water, and repairs water and fire damage. The business uses eco-friendly products that are safe for kids and pets. For emergency situations, Ohana Extraction is available 24 hours a day. The business is accredited by the Better Business Bureau and certified by the Institute of Inspection, Cleaning and Restoration. Phoenix Cleaning Systems is a Honolulu carpet cleaning company that provides emergency 24-hour flood service. The business uses fast-drying carpet and upholstery cleaning techniques and provides air allergen control services for homes and businesses. The company also cleans air ducts, protects carpets, treats for ticks and fleas, and removes stains and odors. Phoenix Cleaning Systems is certified by the Institute of Inspection, Cleaning and Restoration and has an A+ rating with the Better Business Bureau. Pro Carpet Systems is an Oahu carpet cleaning company based in Pearl City. The business has served the area since 1989 and specializes in upholstery cleaning, stain removal, carpet dyeing, carpet repairs, and odor removal. Pro Carpet Systems uses hot water extraction for high-performance carpet cleaning. Customers have praised the business for its dependable, trustworthy work and professional service. PS Carpet Cleaners has been serving Oahu homes and businesses since 1985.Their experienced technicians are committed to delivering quality service at affordable rates, which earns them many repeat clients and referrals. They hold an A+ accreditation with the Better Business Bureau and are certified to clean stain-resistant carpets. In addition to residential and commercial properties, they also serve military installations located on the island. PS Carpet Cleaners provides carpet cleaning services including steam extraction, stain removal, shampooing, and odor removal. They also clean upholstery, furniture, and automotive interior. Free quotes and same-day service are available, and there are no hidden fees. Waikiki Cleaners is a carpet cleaning company based in Honolulu. The business provides move-out cleaning, shampoo carpet cleaning, tile stripping and waxing, vacation rental cleaning, regular maid service, and window cleaning. Customers have praised the business for its ability to serve customers on short notice, its pleasant, friendly, and professional employees, and its thorough, efficient work.